Clinical trial center d’ALYATEC is located in “Nouvel Hôpital Civil” (NHC), in front of the “IRCAD”. 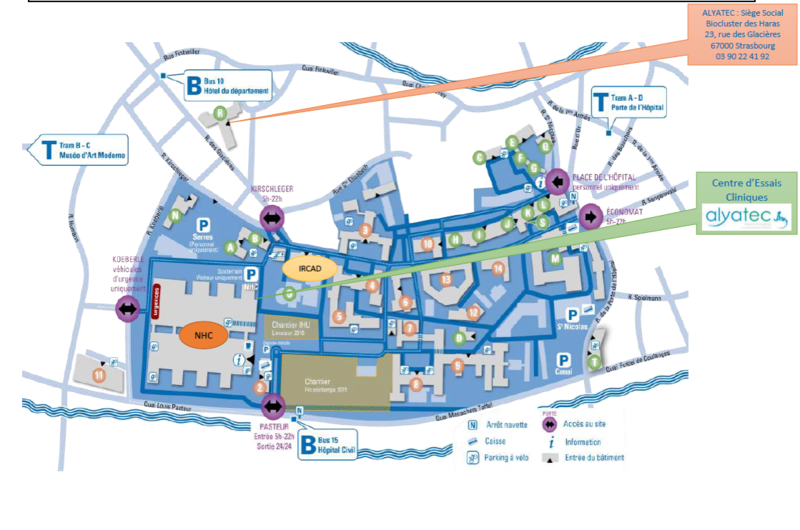 A parking is accessible in the basement of the NHC : Access via the street Kirschleger next through the door Kirschleger. Please complete the form below by completing all fields.